Create a luxurious work space with the Hilary Desk Chair by Italian brand, Daytona. An elegant addition to a home office, Hilary is hand-crafted from the finest materials to create a luxurious design. The curved plywood structure is padded with multi-density rubber and finished with a layer of soft goose down for maximum comfort. 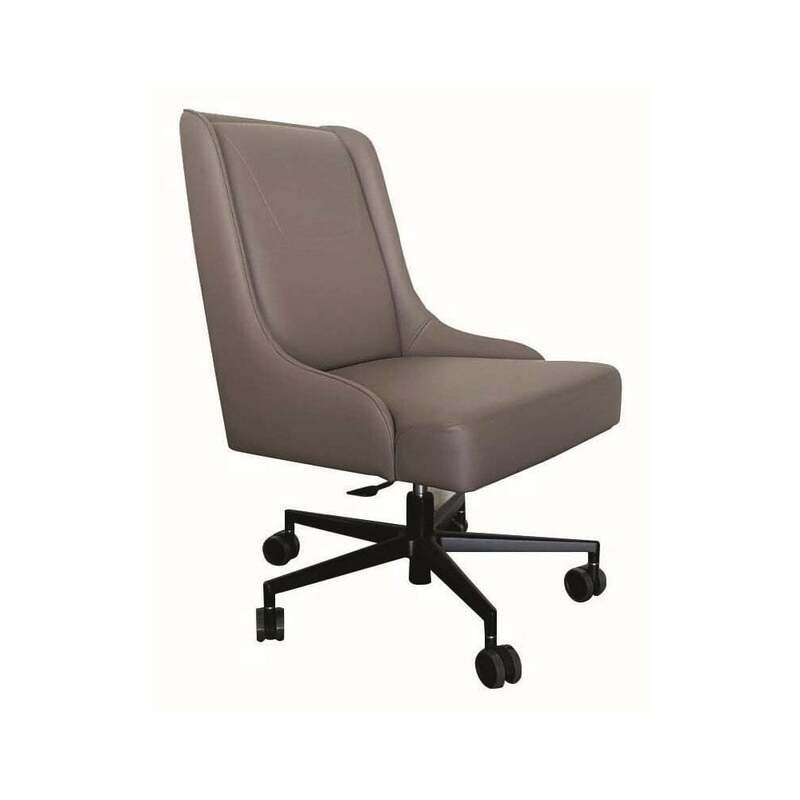 Featuring five self-braking rubber casters, this chair is the perfect balance between beauty and practicality. Choose from a wide variety of fabrics and leather upholstery. This desk chair can be made bespoke to suit your interior requirements. Make an enquiry for more information.